My iPhone battery has stopped working! What's the best way to fix a faulty iPhone battery? While the iPhone is generally thought of as a great smartphone, battery life is one area that seems to let Apple's iPhone down – especially with recent reports of faulty batteries used in specific models of iPhone 6s. But what can you do if you've got a faulty iPhone battery? What if your iPhone isn't included in Apple's replacement programme? Here, we tell you about the various ways to fix a faulty iPhone battery. Of all recent generations of iPhone, the iPhone 6s is notorious for having less-than-satisfactory battery life, especially those bought between September and October 2015. Affected users reported generally poor battery life and a specific issue where the phone would power down with around 30 percent charge left. Plugging the iPhone into a charger would bring it back to life, but it's not ideal, especially for those without a charger handy. Following complaints, Apple released in a statement on its Chinese support website claiming that a small number of iPhone 6s handsets made between September and October 2015 "contained a battery component that was exposed to controlled ambient air longer than it should have been before being assembled into battery packs". What does that mean for affected iPhone 6s owners? "As a result, these batteries degrade faster than a normal battery and cause unexpected shutdowns to occur," according to the same statement. However, unlike with Samsung's exploding Galaxy Note 7, Apple claims that the problem affecting certain handsets isn't a safety issue and users are free to carry on using their iPhone 6s as usual. Of course, you'll still want to get it fixed if it's among the affected units. Luckily, if you can prove (via serial number) that your iPhone 6s is one of the affected units, you can get it replaced free of charge at an Apple Store. So, how can you check whether your iPhone is affected? It's pretty simple really. You can easily find out if your iPhone is eligible for the recall by visiting Apple's dedicated web page for the programme, and using the serial number checking tool. Open Settings > General > About on your iPhone; the Serial Number is listed as the 11th entry on this page. Type this into the field on Apple's web page and hit Submit to find out if your iPhone qualifies. Also, your iPhone needs to be in working condition for Apple to repair it. And trust us, they'll definitely check. Updating iOS is a useful all-purpose fix when you're experiencing minor problems with an iPad or iPhone, particularly when we're talking about the smaller point updates - from iOS 10.2 to iOS 10.2.1, for instance. Apple uses its regular (free) operating system updates to roll out fixes for vulnerabilities, bugs and glitches, and it's entirely possible that an issue you're experiencing can be fixed with a simple OS update. Conversely, a device running a severely out-of-date OS is likely to be vulnerable to a range of problems. Here's how to update iOS on an iPhone or iPad. We mentioned iOS 10.2.1 above and as it happens this is a specific point update that is known to resolve a known battery/charging issue for iPhone 6, iPhone 6s and the Plus variants of both, and to bring in a useful warning system when your device's battery needs to be repaired. "With iOS 10.2.1, Apple made improvements to reduce occurrences of unexpected shutdowns that a small number of users were experiencing with their iPhone... The diagnostic data we've received from upgraders shows that for this small percentage of users experiencing the issue, we're seeing a more than 80% reduction in iPhone 6s and over 70% reduction on iPhone 6 of devices unexpectedly shutting down. "We also added the ability for the phone to restart without needing to connect to power, if a user still encounters an unexpected shutdown. It is important to note that these unexpected shutdowns are not a safety issue, but we understand it can be an inconvenience and wanted to fix the issue as quickly as possible." iOS 10.2.1 also brings a new warning message for devices felt to be in need of a battery repair or replacement. The message will read 'Your battery needs service'. Update 6/6/2017: Following initial reports that iOS 10.2.1 would help fix charging issues for the iPhone 6 and 6s (along with the Plus variants of each), Apple now claims that the update has also reduced the number of unexpected shutdowns for the affected smartphones. In a statement to TechCrunch, Apple says that while the update doesn't completely fix the issue of unexpected shutdowns for iPhone 6/6 Plus/6s/6s Plus users, it has seen a significant reduction of the issue - up to 70 or 80 percent, apparently. So, if your iPhone has been shutting down unexpectedly and are yet to update to iOS 10.2.1, we'd recommend updating and seeing whether that makes any difference to performance. If not, it might be time to take a trip to the Genius Bar! But what about other models of iPhone with battery life issues? Contrary to Apple's statement, the issue seems more widespread than just the iPhone 6s's produced between September and October 2015. 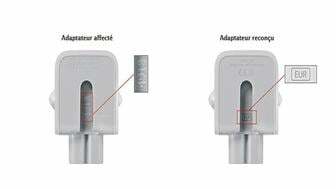 This is backed up by the China Consumers Association, which believes that the issue is also prevalent in the iPhone 6, iPhone 6 Plus and iPhone 6s Plus. In fact, Tony Fadell - one of the minds behind the iPod - tweeted back in December 2016 that he was having the same issues on his iPhone 6s Plus. However, despite the backlash, Apple refuses to acknowledge the issues. In fact, in a statement issued by the company, it noted that it had "looked for any other factors that could cause an iPhone to shut down unexpectedly. After intensive investigations, no new factors have been identified". So, unless you've got an affected iPhone 6s, it might be hard to get your iPhone battery fixed or replaced. It's worth noting that all iPhone batteries are covered as part of Apple's one-year warranty, although the company doesn't have to honour the repair if the phone is more than a year old. Beyond that, you can pay Apple to replace it for you at the Genius Bar, use a third-party repair service like MendMyi or, if you're brave enough, have a go at replacing it yourself. With that being said, there seems to be battery life issues with iOS devices running iOS 10.1 or iOS 10.1.1, so if you're running one of the affected iterations of iOS, we'd recommend upgrading to iOS 10.2.1 (or the latest operating system at the time of reading) to help combat the issue. Hopefully this will fix the battery issues you've been experiencing, and will save you a trip to the Apple Store!